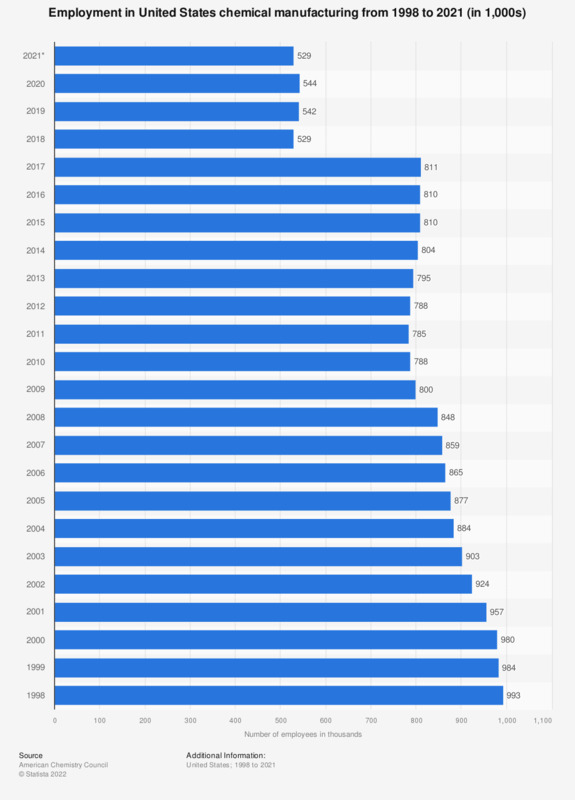 This statistic shows the employment in chemical manufacturing in the United States from 1998 to 2018. In 1998, the number of employees in this industry was around 993,000. As of 2018, that number had decreased to around 529,000 employees. Of the ten largest chemical companies worldwide based on revenue, two were based in the U.S. as of 2018. Figures prior to 2014 were taken from U.S. Bureau of Economic Analysis. All BEA figures were revised under the 2014 Comprehensive Revision of the Industry Economic Accounts.